At Vegas Valley Garage Door Repair, we have been offering those in the Greater Las Vegas, NV area quality garage door services since 2008. With over a decade in business, we have the training and experience needed to deliver superior services to all our valued customers in cities and communities such as Aliante, Anthem, Desert Shores, Eldorado, Enterprise, Green Valley Ranch, Henderson, Inspirada, Mountain’s Edge, North LV, Paradise, Peccole Ranch, Providence, Rhodes Ranch, Seven Hills, Silverado Ranch, Spring Valley, Summerlin, Sunrise Manor, The Lakes, Tuscany Village & Las Vegas Nevada. 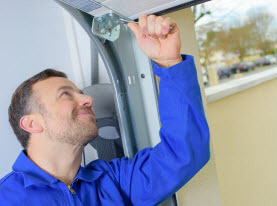 Whether you are in need of garage door repair, replacement or maintenance, we have the equipment, knowledge and experience needed to offer same day service. It doesn’t matter if the problem is big or small, we can handle it and get your garage door back up and running again as soon as possible. Contact us for a consultation today! License #080600. Garage door problems never happen at a convenient time. That is why the experts at Vegas Valley Garage Door Repair are standing by, ready to help whenever you may need us. Your broken garage door is probably a result of years of wear and tear on the mechanisms that make it work. When your garage door is malfunctioning, it can seriously interrupt your day to day schedule. 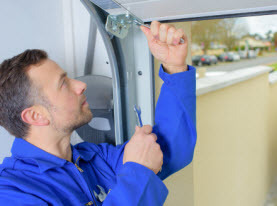 We offer same day garage door repair services to home and business owners in Greater Las Vegas, Nevada and can repair anything from rollers, broken springs, cables, hinges, sensors and weather seals so that your garage door can carry on with business as usual. 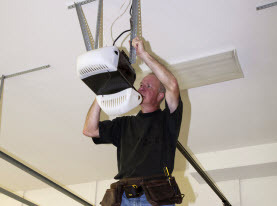 Even when you are experiencing problems with your garage door opener, we have the training to solve that problem for you as well. Your garage door is a piece of complex machinery that needs regular maintenance to keep it running properly. You may be surprised to find out that your garage door is comprised of over 300 moving parts that need to be able to work together to raise and lower your garage door. When you don’t have the experience and training necessary for a garage door tune up, it can dangerous to perform the inspection on your own. Our team of highly trained technicians can perform the 20-point inspection your Las Vegas, Nevada garage door needs to ensure it is working properly. We can also make any minor repairs that may be present if needed as well. Over time, your garage door is expected to take a beating and it may be time to replace it. Even though we don’t experience harsh winters in Las Vegas, NV, the brutal heat in the summer can be hard on garage doors. If your garage door is worn, damaged or outdated, you may be in the position to have it replaced. 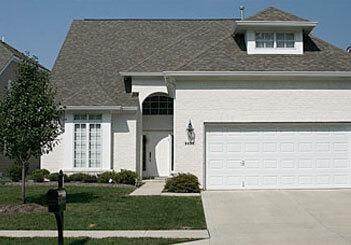 You can count on Vegas Valley Garage Door Repair to handle all your garage door replacements. This can help boost the curb appeal of your home and offer you the security you need for your garage and home. We will ensure your garage door is installed properly and that it is the best option for your home or business. 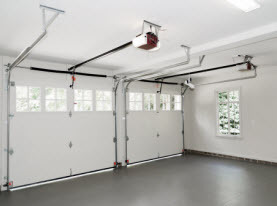 Garage door accidents are often times caused by faulty garage door openers and other components. This is why it is so important to trust an expert like Vegas Valley Garage Door Repair to conduct a routine inspection of your garage door and all the components such as rollers, tracks, hinges, springs, bottom gasket seal (weather stripping) and more that help it function optimally. Don’t count on anyone else to handle your garage door repair, maintenance or replacement needs in Greater Las Vegas, Nevada. At Vegas Valley Garage Door Repair, we work hard to ensure all our customers are completely satisfied with the services we provide. Call us today!